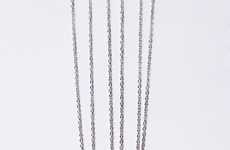 Make a fierce fashion statement this summer with the Dinosaur tank dress from web retailer Pixie Market. The black-and-white frock is both cute and comfortable, making it a perfect piece for every-day wear during the warm months ahead. Zoning in on the fashion industry's recent print obsession, Pixie Market creates an easy-to-wear and sleeveless dress garment that features a prehistoric skeleton print. Pair this cotton and spandex blended piece with sneakers or add some height to your look with a set of edgy platforms. 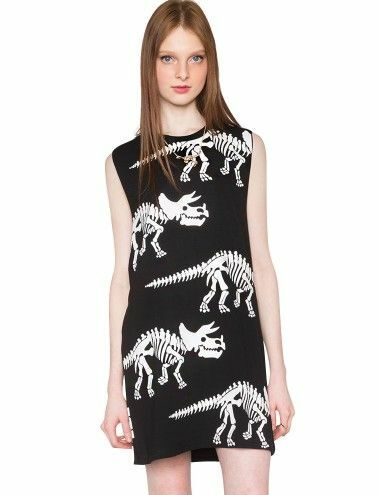 Inspired by creatures of a prehistoric era, the Dinosaur tank dress from e-retailer Pixie Market makes a quirky and youthful style statement. Wear the dress on a museum date or gift the item to a paleontology fanatic with a flair for fun fashion!